Intuitionistic fuzzy multiple criteria decision making (MCDM) method which is based on an exponential-related function, adopted in the Technique for order preference by similarity to ideal solution (TOPSIS) has been proposed in this study. The exponential-related function which is used for comparing intuitionistic-fuzzy-sets (IFS), and as a replacement for the traditional exponential score function which is only effective for determining priority weights that involve pairwise-comparison, has been applied, for computing the separation measure from the fuzzy positive and negative ideal solution to determine the relative closeness-coefficients of alternatives. The main advantage of this method includes (1) its ability to account for Decision-makers (DMs) attitudinal-character in the decision-making process as-well-as to represent the aggregated effect of the positive/negative evaluations in the performance ratings of the alternatives based on the IFS-data and (2) The simplicity of the method both in its concept and computational procedures. To demonstrate the feasibility of the method, it has been applied for the evaluation of some hypothetical design-related problems and for a real-life case study. The intuitionistic fuzzy sets (IFSs) theory which is an extension of the traditional fuzzy set (FSs) theory (Zadeh, 1965) was initiated by Atanassov in 1986 (Atanassov, 1986). It is characterized by membership function and a non-membership function which are used to deal with ambiguity caused by vagueness and uncertain information. According to Saurav et al., (2013) and Wan & Li (2015), the IFS are more flexible, practical and capable than the traditional FS theory at handling incomplete, inconsistent and indeterminate information in practice. The benefits of applying the IFSs have been addressed in (Xu & Liao, 2015; Xu, et al., 2013). As a mathematical tool, the IFS has proven to deal with inaccuracy, fuzziness, and uncertain information in practice and these are reflected in its many applications in several fields and disciplines for solving diverse problems including MCDM problems as shown in (Aikhuele & Turan, 2016; Chen & Chiou, 2015; Jahromi, 2012; Li & Liu, 2015; Li, 2005; Wan & Li, 2015; Xu, 2014). Amongst the many application of IFS for MCDM, the Technique for order preference by similarity to ideal solution (TOPSIS) originally proposed by Hwang and Yoon in 1981 has remained the most widely used technique. TOPSIS which is based on the concept that the chosen or most appropriate alternative should have the shortest distance from the positive ideal solution and the farthest distance from the negative ideal solution has proven to be a practical and a useful decision-making tool which depends on preference information provided by the DMs. In comparing preference information that is expressed in IFS, some metric methods were introduced, that is the score functions, and accuracy functions (Chen & Tan, 1994; Hong & Choi, 2000; Wu, 2015; Xu, 2007) which have been applied for solving MCDM problems. However, recent investigations of these functions have shown some vital shortcomings, according to Wu (2015), the results obtained using the score functions and accuracy functions are not always consistent, also they often produce negative priority vector in their applications. Although, the exponential score function later proposed by Wu (2015) as a remedy, appears to address these shortcomings, however, the function is only effective for determining priority weight that involves pairwise comparison. Also, it cannot account for the DMs risk attitudes or attitudinal character in determining the membership function and non-membership function degree which is actually critical in making a reliable decision. 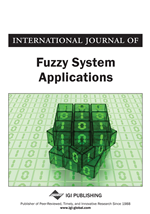 In the present study, a new exponential-related function (ER) have been developed and adopted into the traditional fuzzy TOPSIS model and the intuitionistic fuzzy entropy method to form the intuitionistic fuzzy TOPSIS model which is based on exponential-related function (IF-TOPSISEF) for solving MCDM problems when the criteria weights are completely unknown and the performance ratings are expressed in intuitionistic fuzzy number (IFN). The adoption of the new exponential-related function (ER) in the intuitionistic fuzzy decision-making method is mainly to provide a simple, flexible and a whole new approach to solving MCDM problems that account for DMs risk attitudes or attitudinal character. Which is due to psychological factors; (that is the optimistic mentality or coefficient which indicates the pessimistic or risk-averse character of the decision-maker, the optimistic or risk-prone character of the decision-maker and the neutrality of the decision-maker).